Take a break from tradition and opt for a quirky cake. 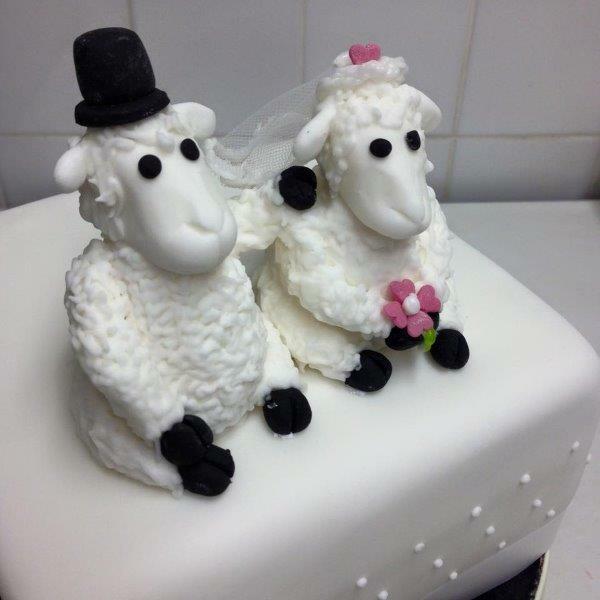 We love this cute Mr & Mrs design by The Fairy Cake. Ensure your wedding cake stands out from the crowd with The Fairy Cake. 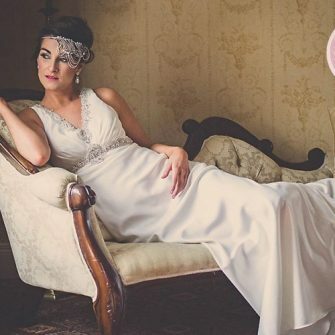 Sligo-based baker Gail has over 25 years’ experience in the industry and offer a free tasting session to all brides and grooms. Super stylish black and white never goes out of fashion. 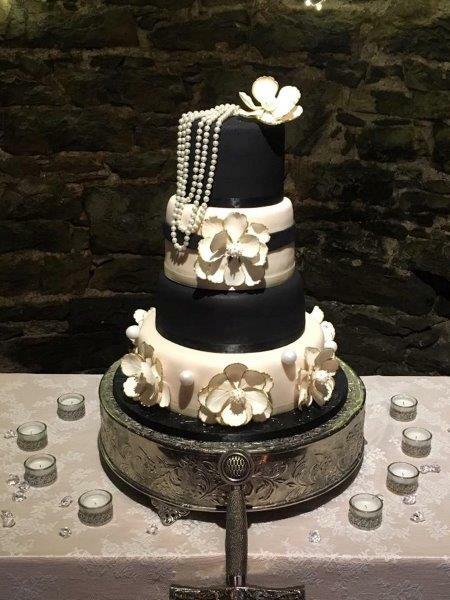 Edgy monochrome is a timeless choice for any couple looking for a classic wedding cake design. 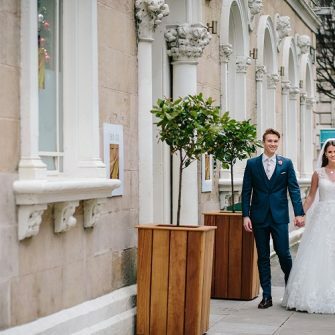 Limerick-based Celina’s Cakes opened its doors in 2012 and since then has grown from strength to strength thanks to the mouth-watering wedding cakes made with love by proprietor Celina O’Sullivan. 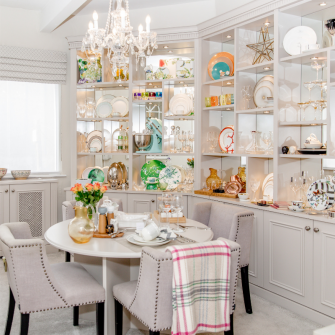 Why have ‘a’ cake when you can have a tableful! 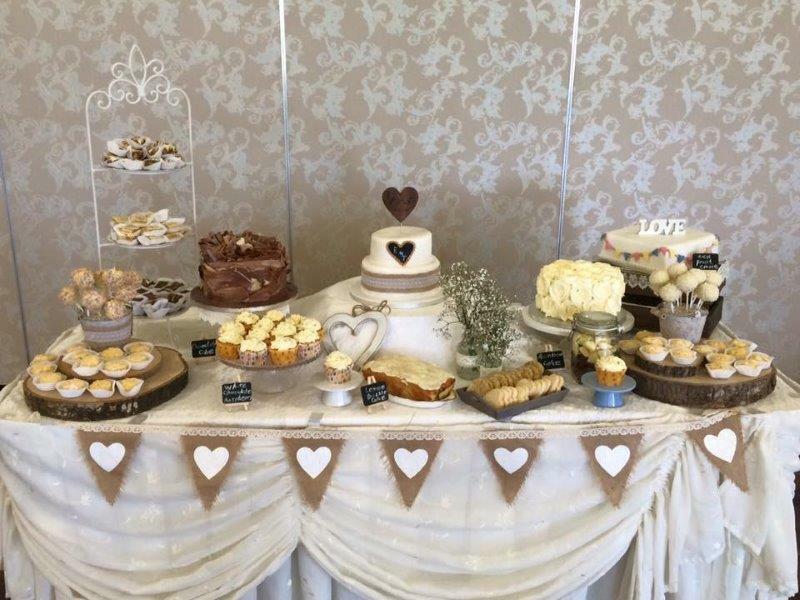 A cake table will allow you to truly spoil your guests by catering for all tastes with an array of fabulous flavours in cakes in all shapes and sizes. Georgina’s Cakes specialise in bespoke wedding cakes. 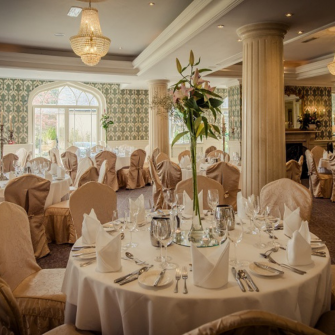 Renowned for their chocolate cake, Red Velvet with a twist, white chocolate and raspberry cake, and not to mention the moist lemon drizzle cake – you’ll be spoilt for choice when it comes to choosing your cake table array. Contact: Georgina’s Cakes on 028 7035 7115. 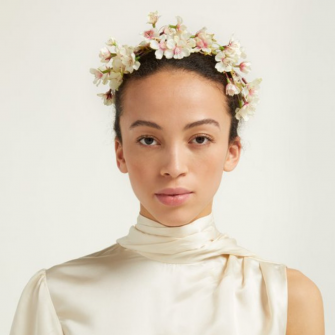 Prepare to see flowers and floral print everywhere this year, from stationery to wedding dresses, decor and now wedding cakes too. Broken Spoon Cakes have incorporated a hand painted floral design into the cake pictured, alongside eye catching 3D floral decor. Sometimes a plainer cake can make just as much as an impact as a decorative one. Stripped back, chic classic styles have made a comeback this year – when less certainly is more! 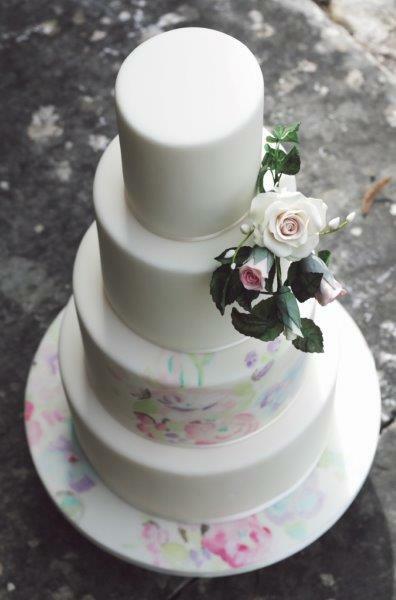 How gorgeous is this classic cake by Cake Style pictured? We imagine it would look fab in an urban setting, at a black tie wedding, or traditional wedding. Contact: 087-6260022 or email info@cake-style.net. Pretty in pink – candy coloured wedding cakes are feminine, girly and fun. Pink is a popular wedding-theme, particularly during the spring and summer months, so why not tie in the look with a pink cake? 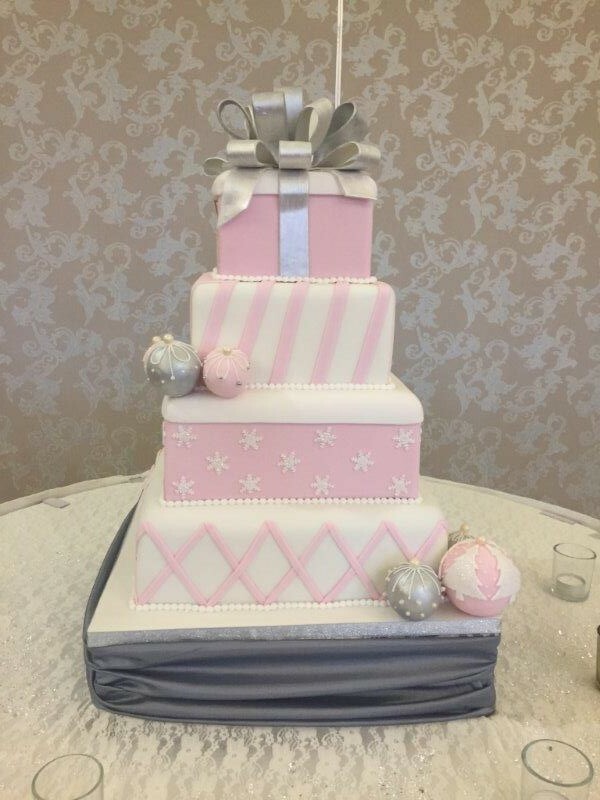 Christine’s Cakes have created this gift box style wedding cake in shades of pink, white and grey – ideal for a Christmas wedding. Contact: Christine’s Cakes on: 07803 961609. If you go down to the woods today you’ll be sure of a big surprise… Surprise your wedding guests with a quirky woodland themed cake. This unusual design will be sure to get your guests talking for all of the right reasons. 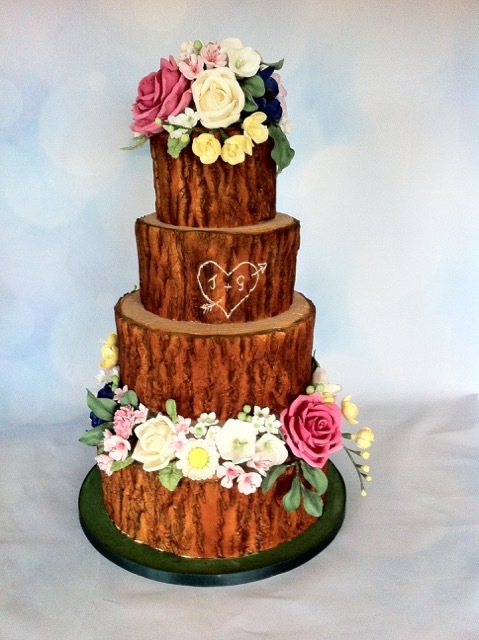 This woodland cake by Jen’s Cake Boutique is a showstopper! The tiers actually look like tree slices and we bet it would look great on a rustic tree bark slice. Contact: Jen’s Cake Boutique on +353 (86) 815 2312. 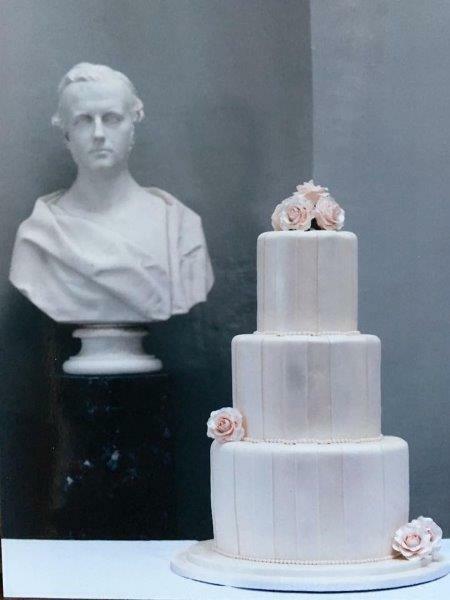 Having trouble deciding on just one wedding cake style? We say, why choose only one when you can have two, with a double sided caked. 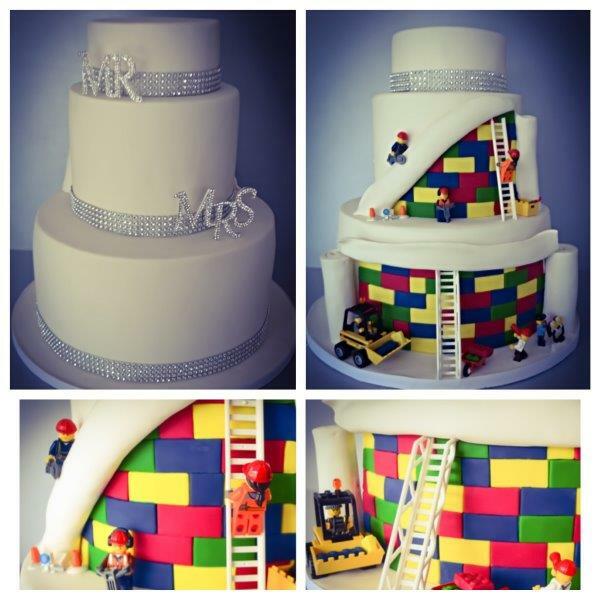 This cake by Scrumptious features a fun lego design on one side and a classic white design on the other. Contact: Contact Scrumptious on info@scrumptious.ie. 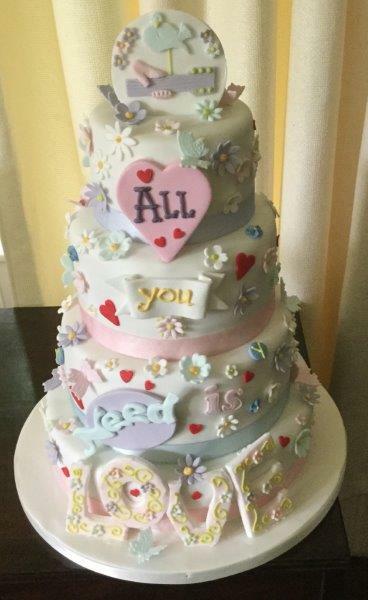 All you need is love and an incredible wedding cake! 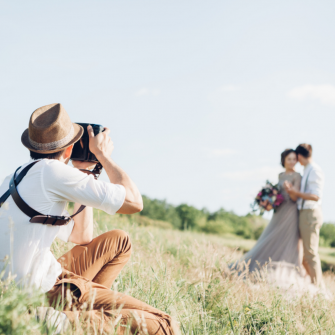 Love certainly can be all hearts and flowers, when it comes to your wedding cake. 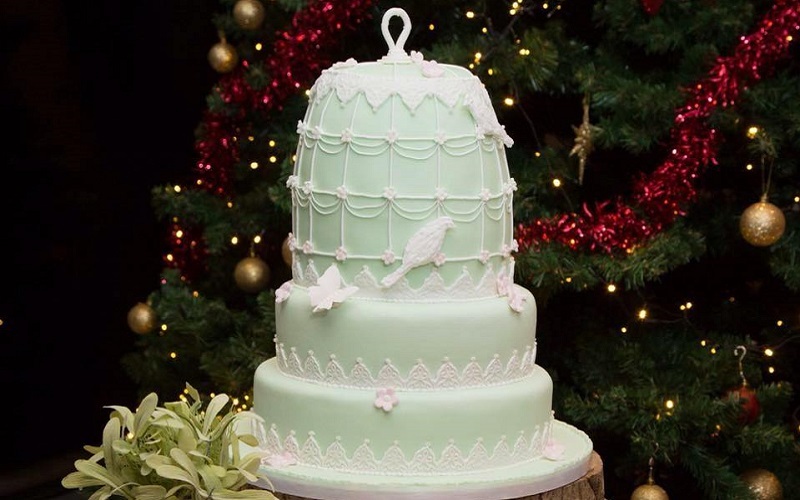 Award Winning bakers Sarah Jane’s Cakes created this decorative four-tiered design. Better still you can order it in a whole range of flavours, from Malteaser to white chocolate, fruit and everything in between. 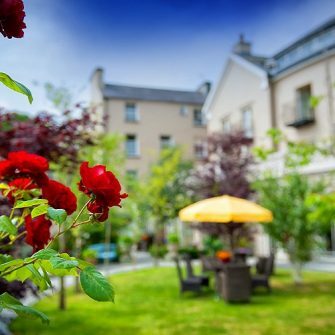 Contact: Cor information call 02868631209 or email sjsdiner@btconnect.com. 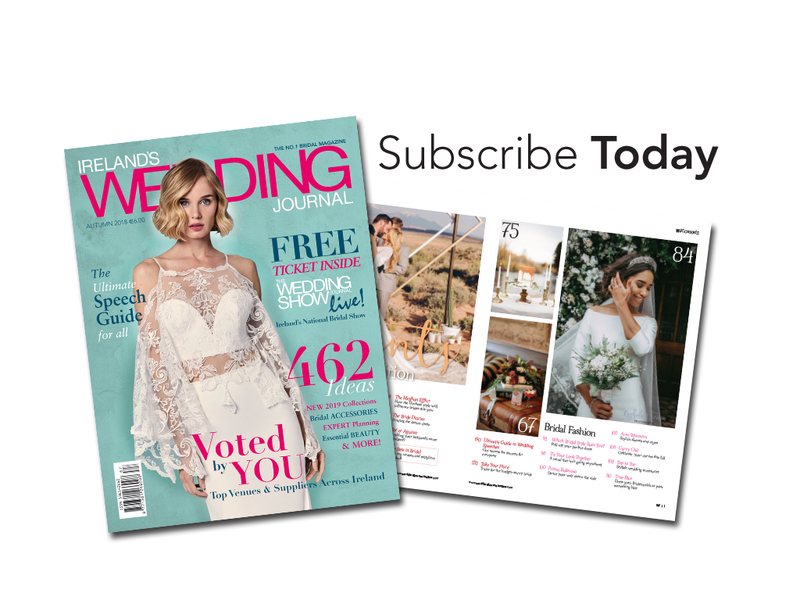 If you’re looking for a premium, local Wedding Cakes & Sweets in Belfast , take a look at our brand-new directory!